Everybody is familiar with Anita Dongre’s brands like AND, which offers the chicest western wear for women and Global Desi, the go-to boho chic brand for women. But not very many people know that back in 2015 Anita Dongre launched ‘Grassroot’ – an eco-conscious, leather-free and vegan clothing brand. A sustainable, hand-crafted contemporary brand from the House of Anita Dongre, Grassroot offers crafts and weaves from all over India in the form of modern styles and silhouettes. Over the last couple of years, I’ve been keenly following the brand for all the work they are doing in terms of reviving handcrafted traditions and bringing in work to lots of artisans’ homes. It has become one of the most popular luxury pret brands to buy handcrafted clothing. 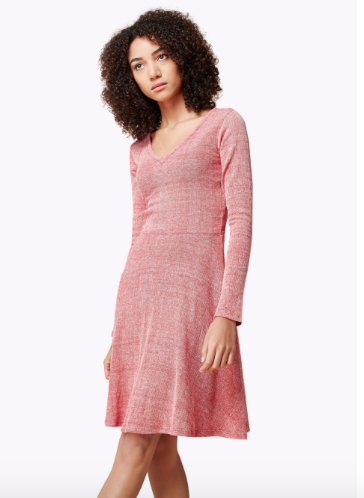 My first pick is this gorgeous plum dress with a A-line cut. A pair of gold earrings and black heels would be first and most obvious way of styling this stunning piece. You could also pair it with a pair of white straight fit trousers and oxfords for a more business look. To give it a more feminine touch, cinch it at the waist with a belt and throw back your hair in a high pony tail. Carry a sling and you are good to go! I can see myself wearing this with multiple outfits. Afterall, crop jackets have the potential to be styled in so many ways! 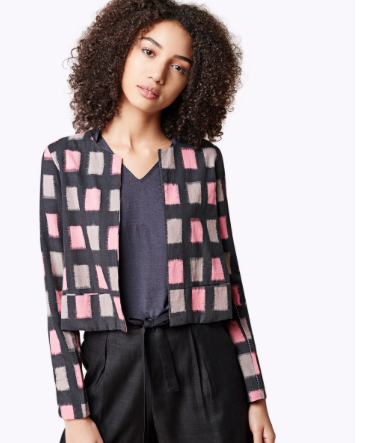 This would look lovely over a white midi dress, or over a black jeans and a camisole. You could also pair it over a white kurti and palazzos. The subtle colors on these dyed yarns make it a must-have this season! This pretty number is for those date nights! 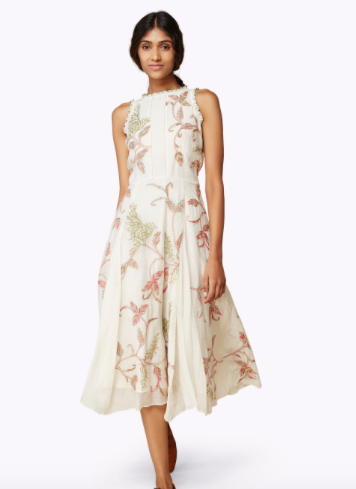 The hand decorated motifs of birds and flowers on this cotton silk dress are super subtle and romantic & the ruffle detailing around the neck adds that feminine touch. Some pretty sandals, a dash of pink on the lips, dainty drops on your ears, and a sparkly clutch is all it takes to complete this date night look! What are your favorite picks? Comment below and let me know!